Lyrics to "When the Roll is Called Up Yonder"
I’m taking the Lord at His word, and I’m trusting Him to prove His Word. It’s kind of like putting all your eggs in one basket, but we’ve already put our trust in Him for salvation, so why not do it as far as our life is concerned? One of the oddities of the human brain is the difficulty we have remembering emotion, when the emotion has an external cause, and the even greater difficulty in grasping how powerfully a future event might affect our emotions. It is one reason some people refuse to evacuate an area about to be hit by a powerful hurricane; and then regret it, as soon as they are enveloped by a black storm of driving rain and wind so powerful that it shakes their house. Their brain may tell them that they will live; but that does not affect the terrible, gut-level fear one feels. We are hormonal and instinctual. People ride roller coasters, and skydivers jump out of perfectly good airplanes, for just this reason: the emotion cannot be fully recreated outside the actual experience. But — we are smart enough to understand the phenomenon. If we fear heights, we do not plan to walk to the very edge of a cliff even if it is safe, because we recognize that a feeling will arise that is powerful and unpleasant. And so it is with heaven and hell. We cannot feel, at a gut level, how horrible hell would be. 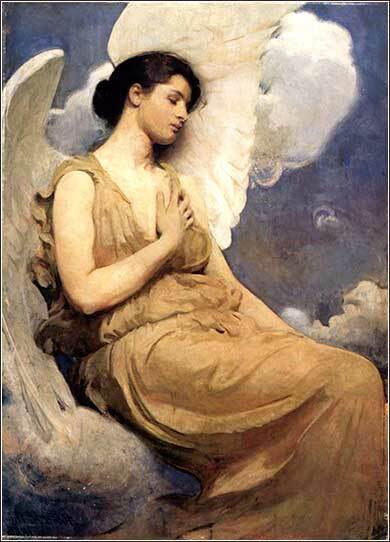 Nor can we really understand the joy of heaven. But if we have wisdom, we have learned that when someone we trust tells us something is terribly painful or overwhelmingly frightful, to avoid it. Jesus teaches his disciples a lesson in faith, not by words, but by gut-level emotional experience. The terror of being in a small boat during a great storm is horrendous. The disciples become hysterical. But Christ, who has promised them salvation, demonstrates his power. It is not his intention to save them, or anyone, from the peril of storms at sea, but rather, to show them that he has the power to fulfill his promise of eternal salvation of their souls, by demonstrating his power to save their bodies from destruction by nature. One might think of a father, throwing a child into the air and catching him. That is the historical part of the story, the lesson taught to the disciples. But there is a message for us, also. The incident is a metaphor created in actions rather than words. 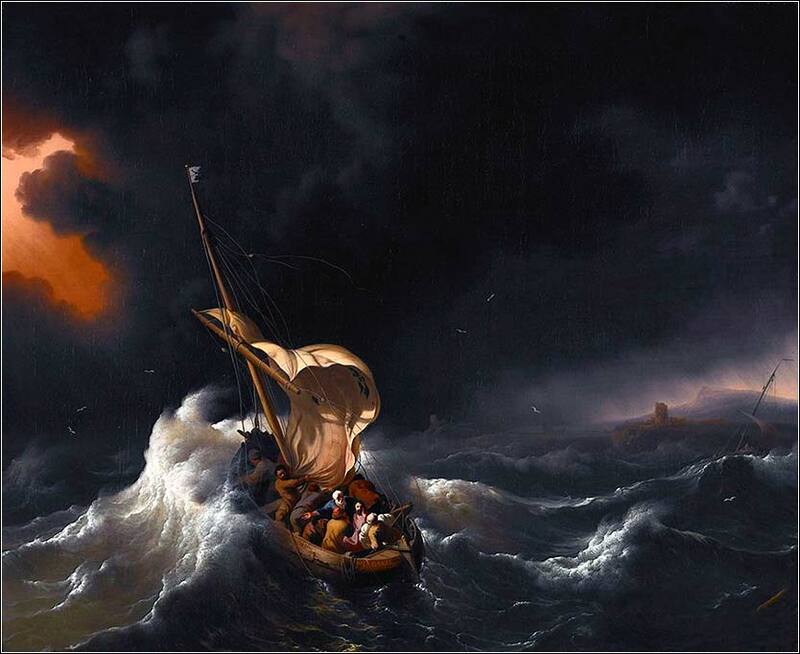 In the terrible “storms” of life, we must not lose our faith in Christ's power to save us. Those of great faith can face the greatest terror life can throw at them. In 156 A.D. a Christian named Polycarp was brought to a stake to be burned alive, for refusing to renounce Christ. When they began to fasten him to the stake, he said, “Leave me thus. He who strengthens me to endure the flames will also enable me to stand firm at the stake without being fastened with nails.” As the woodpile was lighted Polycarp lifted up a final prayer to God, until the flames consumed him.